A team of sisters with a vision. 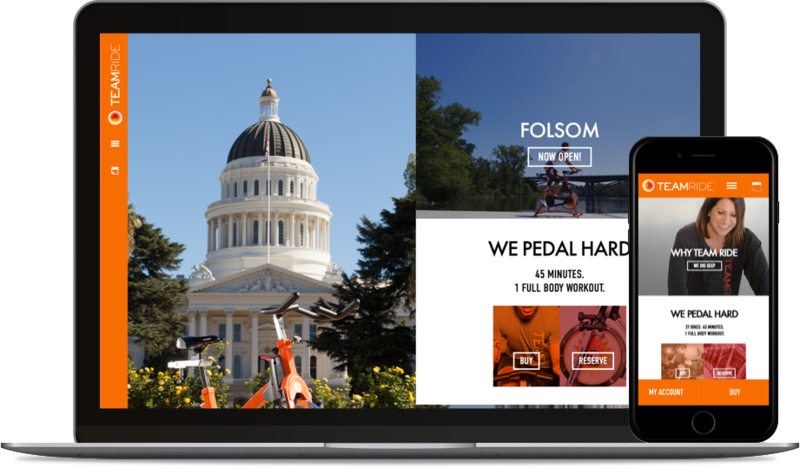 A fresh dynamic spin on cycling classes given a NorCal twist, Team Ride needed a website as energetic and next-level as its mission. Founded by sisters Teresa, Alicia, Elena and Michelle Katnik (T, E, A and M), Team Ride brings a decidedly Sacramento turn to spin classes. We took that challenge on and delivered a sharp, clean and absolutely user-focused experience. We started with strong photography. The site would be reliant on the emotional dimension brought out in its images: people pushing hard, people having fun, people changing their lives. 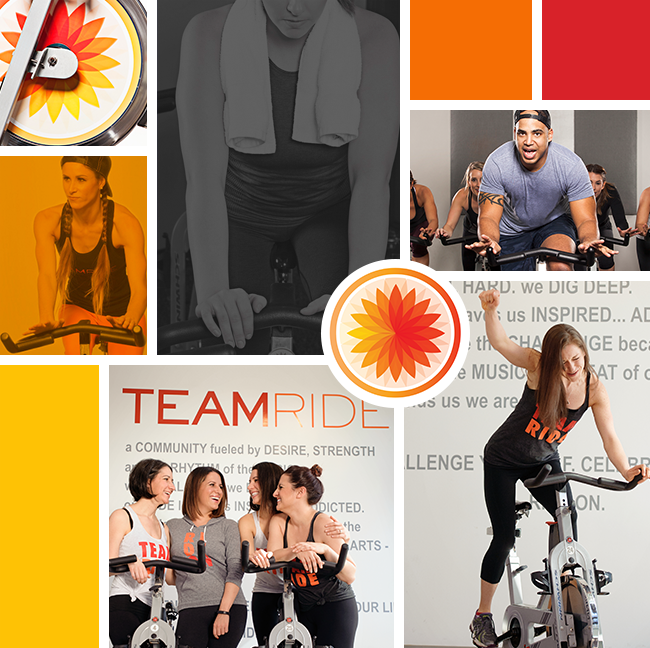 Coupled with a bright, warm palate and crisp, minimal type, these photos would not only sell Team Ride’s mission but also reach out to members and potential new members allowing themselves to imagine themselves taking classes at Team Ride. We partnered with a photographer who was involved from the earliest wireframes where we composed shot lists to ensure that all visuals would work in lockstep with content at optimal aspect ratios. Clean structure acts as the hub of the site. While a beautiful look was important, rock solid functionality was crucial. 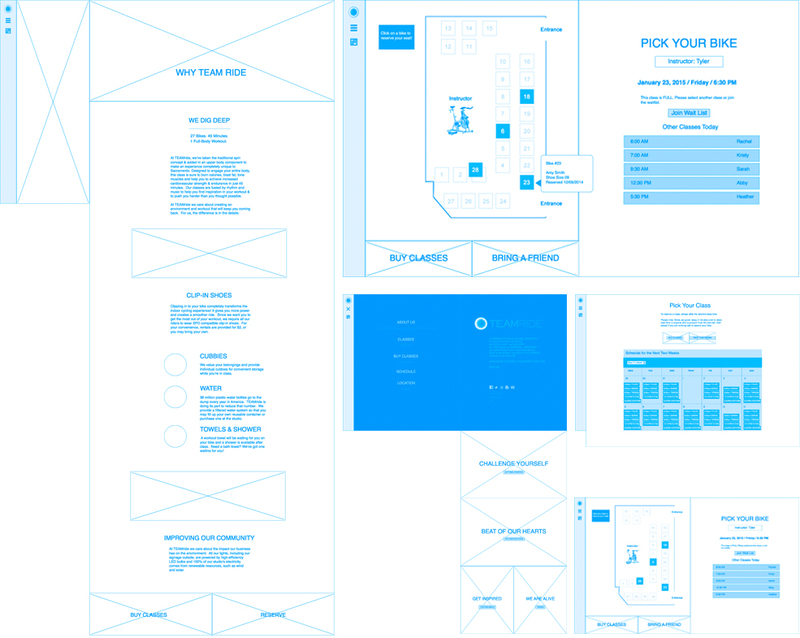 During the wireframing stage we were able to put down stakes for some of the site’s boldest features. Early on we committed to a minimal navigation bar on the left hand side of the page. Users were going to be coming here pretty regularly so it was absolutely important that the site get out of their way and let them get to their class schedules and booking as quickly as possible. 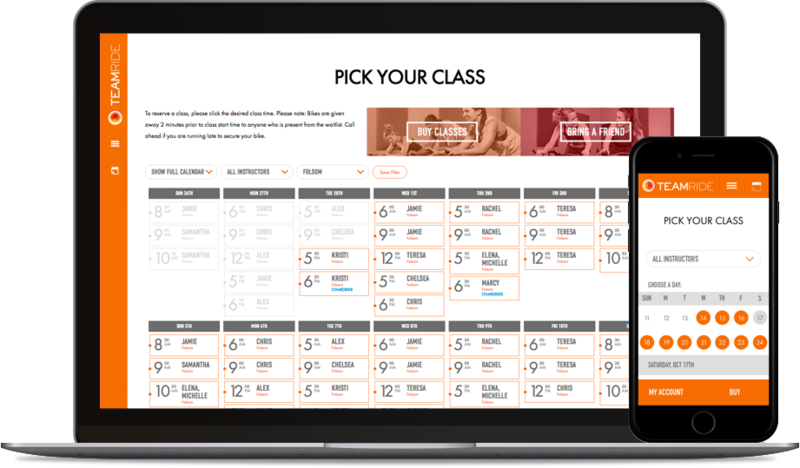 We added the ability to book your class in as little as two steps, which was essential as most classes book out fully within minutes of being offered daily at 10am. The key function of the site was to connect people with the bike they want to book quickly. In addition we implemented a filtering system that allows you to “follow” preferred teachers and locations naturally. And since your classes would ultimately be social in nature, we employed a visual avatar system so you’d have complete control over who you biked next to. One of the benefits of our slightly unorthodox approach to the UX was that the site could collapse down to tablet and mobile sizes without losing any of its visual punch or ease of use. As most users would be looking at the site and using it to book classes on the go it was imperative that the site work seamlessly at every size, especially smaller ones. Responsive in design, responsive in function. With the enormous popularity of the class, we needed to create a way for users to be notified if any open bikes became available. If you want to signup for a class but don’t get to the site in time before it sold out, you can be added to the waitlist. As people cancel their registration, the site automatically moves you up in line. If you get into the class, automated emails are sent confirming your bike. This reduces a ton of administrative work on the client’s side, and ensures classes are full. For those last-minute same-day cancellations, a text-message system will alert waitlist riders of openings for classes within the next hour. A link is provided in the SMS that allows users to book the newly available bike. Again allowing the client to ensure maximum profitability in a complex booking system, without lifting a finger. And our strategy didn’t end with the site’s launch. 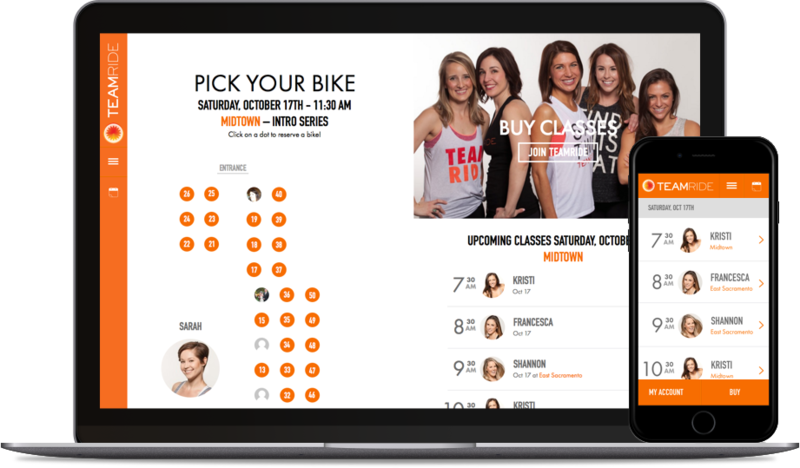 After the site was up and running, we implemented electronic gift-cards so that users can book their friends’ bikes, scaling for multiple locations, and as new facilities were opened the site grew with the company and its facilities. We even developed class categories, including themed rides, charity rides, and off-site outdoor rides.